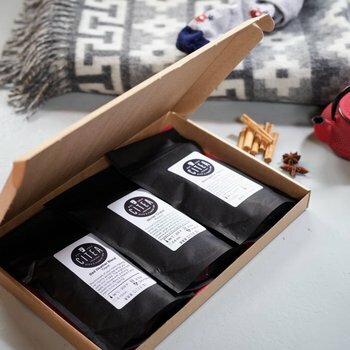 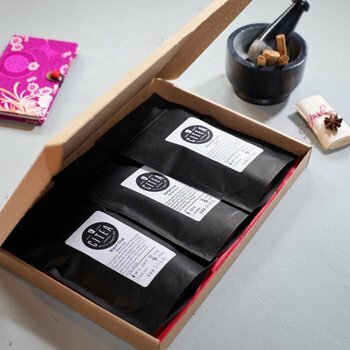 A tea made to deliver a moment of pleasure during the cold and rainy winter days. 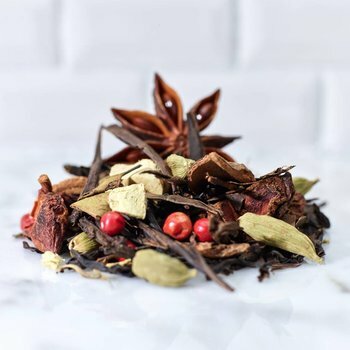 The modern chai you were missing. 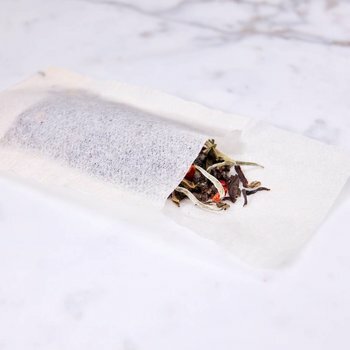 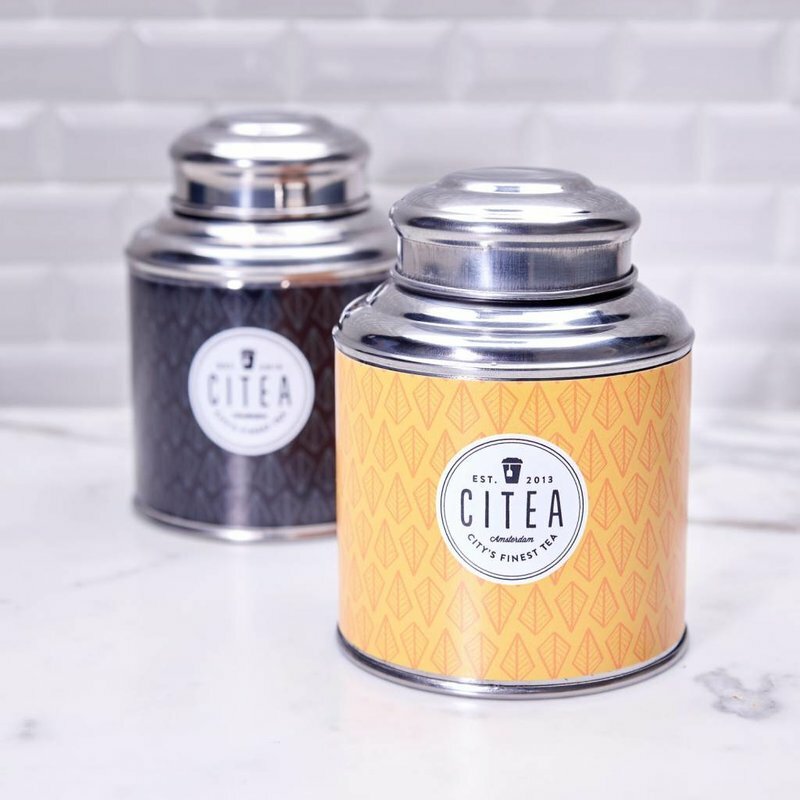 As you might know we at CiTEA prefer high quality ingredients, by doing so your teas won't contain any artificial flavouring, they are just pure spices and herbs. 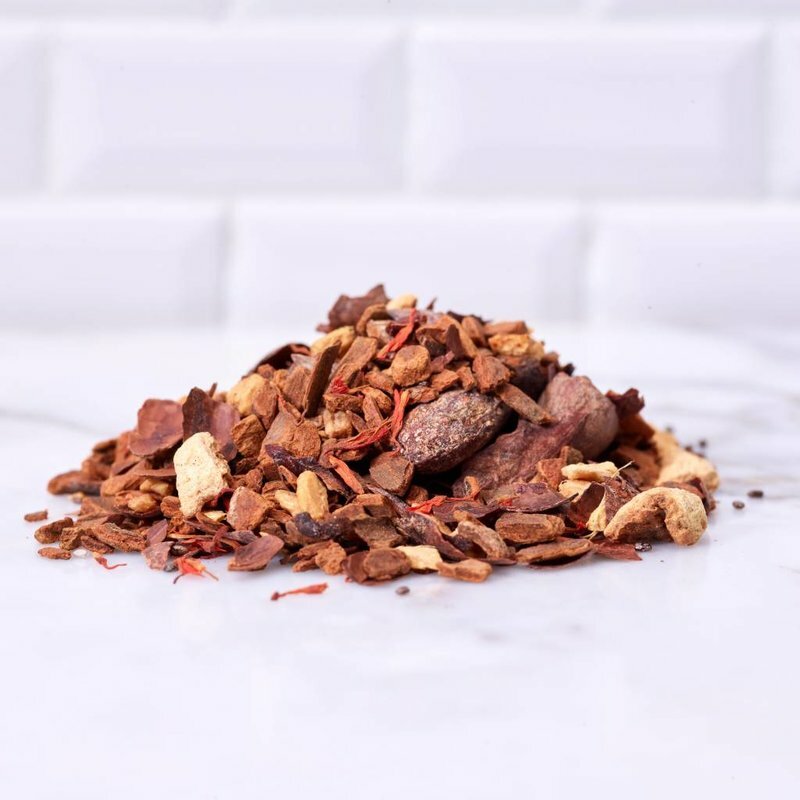 We are proud to present to you our latest and already most popular tea, made of spicy ginger, sweet Vietnam cinnamon, orange peels and cocoa bean peels; Choc Chip Chai! 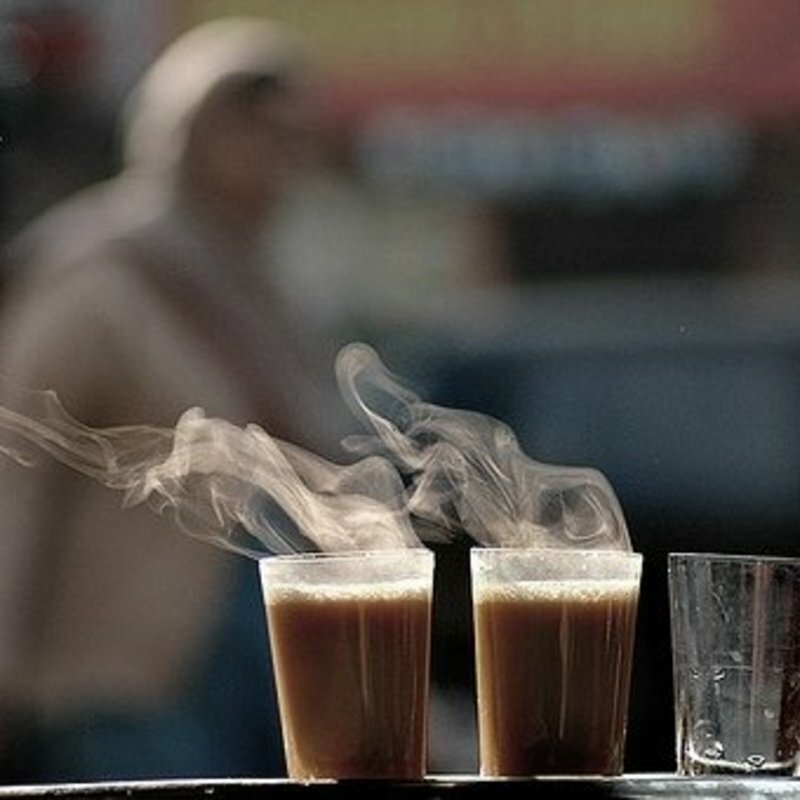 Chai latte: 2 tsp, 90°C., 5-8 min. 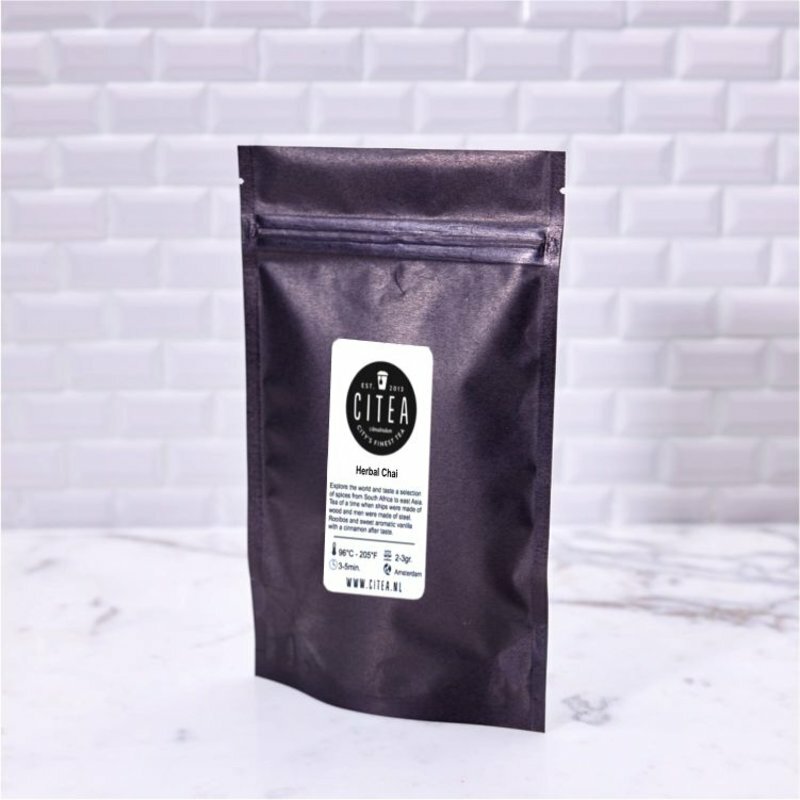 On it's own: 1 tsp, 80°C., 3-4 min. 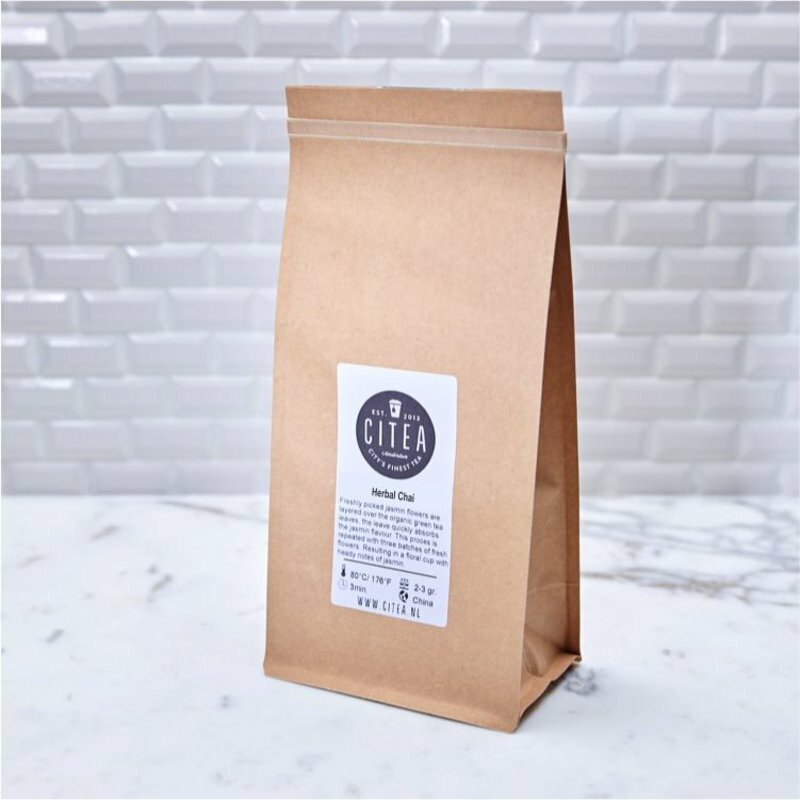 Cinnamon, chia seeds, cocoa been peels, ginger, orange peels and safflowers.